Will Ramaphosa settle on an insider for NPA top job? Broadcast journalist Bongani Bingwa posed the following question on Monday following the latest revelations by News24's super-sleuth Kyle Cowan: "Is Bosasa the new Gupta?" This after Cowan revealed on Sunday that the corruption-accused Bosasa group of companies had showered numerous ANC luminaries, including Gwede Mantashe and Nomvula Mokonyane, with security gifts for their private residences. The reason why "state capture" and "Guptas" have become almost synonymous is two-fold: The term "state capture" only recently entered our mainstream lexicon to describe high-level corruption, and in the case of the Guptas, they managed to capture the main state official, the president. But since 2006, I and other journalists such as Carien du Plessis, Yolandi Groenewald and Mpumelelo Mkhabela have been writing about an obscure Krugersdorp-based company, born out of the ANC Women's League's investment firm Dyambu Holdings, that was raking in the tenders at correctional services, home affairs and justice. 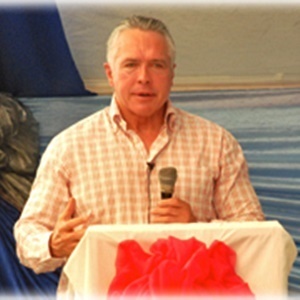 Services previously provided by inmates, prison staff and civil servants were suddenly outsourced to this company, then owned by its CEO Gavin Watson and people linked to the presidency of Thabo Mbeki. Former spy boss Gibson Njenje once served as chairperson of Bosasa. Watson is part of the ANC's Eastern Cape royalty; a family of white brothers who refused to play whites-only rugby under apartheid. This earned them respect from Eastern Cape ANC leaders such as Linda "Richman" Mti. After 1994, the brothers immersed themselves in the business of BEE. Valence and Ronnie joined the Kebble mining empire and Cheeky tried (and failed) to take over SA Rugby with the late Mike Stofile. Gavin, the least prominent of the brothers but arguably the family's piggy bank, started Bosasa and a slew of subsidiaries including Sondolo IT, Phezulu Fencing and Leading Prospect Trading. In a decade, the group won government tenders worth billions to provide food, security and fencing to prisons; detain, feed and transport refugees at their Lindela Repatriation Centre; provide security at the country's courts and airports and detain trial-awaiting juvenile offenders. Sondolo IT, now trading as Global Technology Systems, even won the tender to provide security to the Zondo inquiry into state capture! Deputy Judge President Raymond Zondo stopped the tender after News24 alerted him to it. The Bosasa group, now called African Global, in an attempt to erase their dirty footprint, effectively captured a large part of the country's criminal justice system. The company's modus operandi was laid bare over years in exposés and the report of the Special Investigating Unit (SIU) that looked specifically into the tenders awarded to Bosasa during Mti's term as prisons boss. The SIU found that in exchange for handing over the keys to our prisons, Mti received a house in a Midrand estate and other gifts in exchange. In law, they call this bribery. Patrick Gillingham, the former financial chief of the department, received cars, a kitchen and cash. Other prison staff were also paid off. Now we know that ANC MP Vincent Smith, who chaired the correctional services portfolio committee while Bosasa was being questioned by it, also benefited from the group. So did Mokonyane, Mantashe, Deputy Justice and Correctional Services Minister Thabang Makwetla, former SAA chair Dudu Myeni and the Passenger Rail Agency of South Africa's Mbulelo Gingcana. The SIU handed over its report to the NPA in 2009, which handed it to the Hawks for further investigation. Nine years later, Watson and co are nowhere closer to eating the prison food they once cooked. Over the next few weeks, more revelations about Bosasa and other companies who took over key state functions will emerge. In Tshwane, an engineering consultancy called GladAfrica was awarded a tender to manage the city's entire infrastructure budget worth R12bn. It stinks. In the Free State, it was almost impossible to do business with the province if you were not connected to former premier Ace Magashule. The same has been said of the North West and Supra Mahumapelo. State capture did not leave with the Guptas and will not be solved by Deputy Chief Justice Zondo. State capture is crime and the only way to discourage this large-scale plundering of state resources is for a functioning Hawks and NPA to investigate and prosecute the likes of Bosasa and get them and their political keepers locked up for a long time.